Forensics classes following clues to a crime! Forensics, the science of criminality and law, it dates back to the late 1200’s. The science has come a long way since 1200’s China though, and the science has also become a part of popular culture with many tv shows centering on the use of forensic science to solve crimes. Any fan of these shows will recognize the term ‘ballistics’-the study of projectiles or their flight. It is this part of Forensics that Ms. McGrew’s class has been focused on in their latest unit. 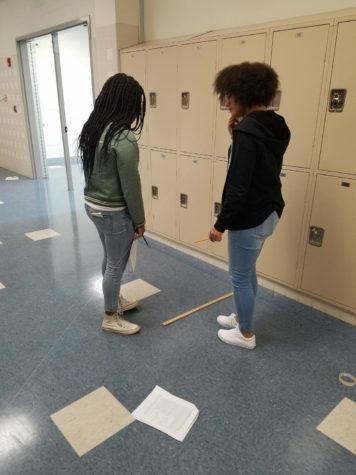 Using string attached to the ground and wall along with some paperclips and meter sticks students have been learning and practicing how to determine the trajectory of a bullet once it has landed on a surface. 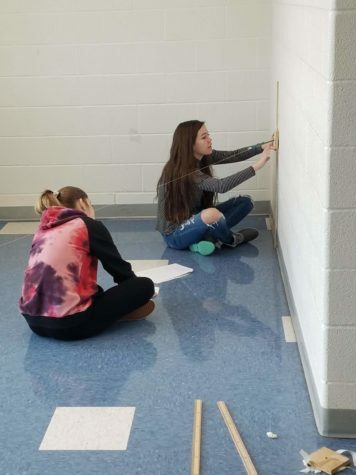 The class, comprised entirely of juniors and seniors, worked in both groups and individually, to determine how bullet-drop, gravity, bullet size, and numerous other factors affect calculations of the projectiles’ trajectory. The project was just one of many for the class though in this case only took one day. The process itself didn’t prove to be all that difficult which in turn lent itself to providing the students with more time to understand what was happening and apply it to what they see in the world, or more specifically on television. More specifically students can apply the lab to what they say is their favorite part of Ms. McGrew’s class, Forensic Fridays. 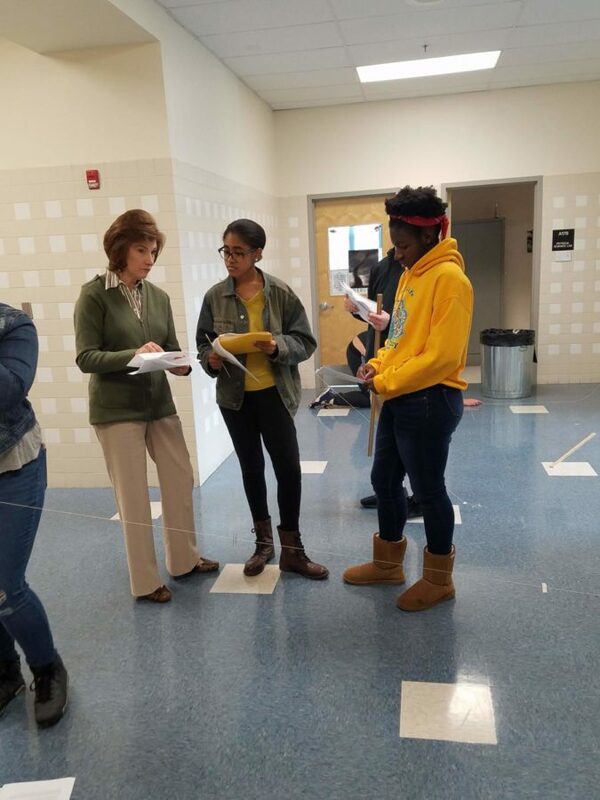 Forensic Friday’s are another part of Ms. McGrew’s class where on most Fridays Ms. McGrew will allow her students a chance to connect what they have learned, like with this lab, with what they see on TV by watching a show from series like the Forensic Files. While forensics has no higher level class such as an AP; it does offer students a chance, like with this lab, to get a feel for what the field might be like later down the line as a profession. Although the current class, comprised of entirely juniors and seniors does have many students seeking to enter a forensics related profession. Most students this year took the class because they fulfilled the prerequisite of having taken three previous science classes, and they thought it might be a fun class with real world applications. On this level all the students seem to enjoy the class, and projects like these help to reinforce the classroom learning with both practical and, let’s face it, fun experiences. So, if have taken three or more science classes, and you are interested in forensics, check out Ms. McGrew’s Forensics Class.